Welcome to our FAQs page where we answer some of the most Frequently Asked Questions we receive about our products, ordering process, and our company policies. We accept all credit or debit cards. We currently utilize USPS for all of our product shipments. We strive to offer the best price ad/or quickest option. Any product that has a material defect can be returned for either a full refund or exchange. We want our customers to be 100% satisfied! Please call customer service with any issues. We are here to help! How do I rig my own lure? Our lures are most effective when utilized properly so rigging is key to success. We will soon be offering online tutorials and “Lure Lab” sessions to share the knowledge we’ve gathered and help each of our customers reach their full potential while using our products. In the meantime, call us with specific questions! Fish are inherently designed to gather more UV rays that humans. When a fish gets scared or excited they “glow”, naturally attracting their prey. 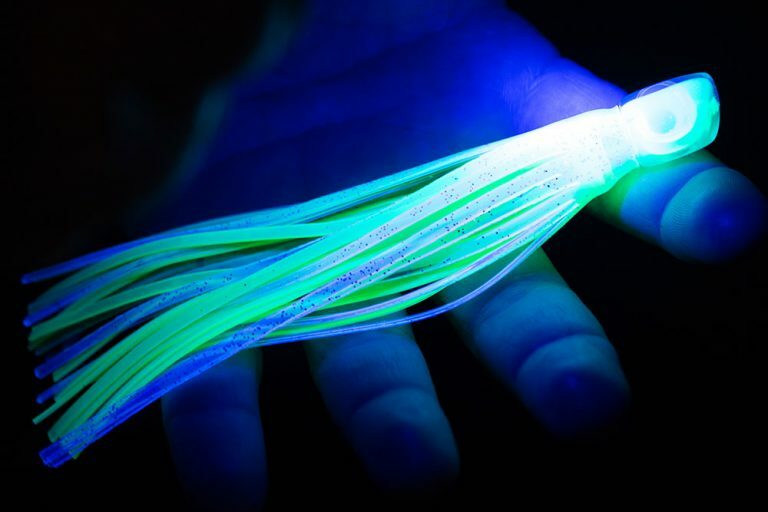 Our lures are UV-infused to emit the same type of “glow” a live bait fish would in the water. Do you offer a “Pro Staff” discount? Yes! Once qualified, we offer a discount to all of our professional customers. Just contact us via email and we will send the forms to get the qualification process rolling.